Declan is fed up with life's complications, people's expectations, and other complexities of existence. He decides to set sail on the Pacific in his boat, The Plover. All he wants is to be alone and unencumbered, to live a simple life on the sea with no destination in mind. But things don't turn out as planned. His first companion is an unwanted seagull, whom he grudgingly befriends ... and this is not the only unlikely crew member Declan takes on during his journey. As the cast of colorful characters grows, the adventure begins. Doyle's prose is amusing, at times profound, full of wonder, and always thoroughly enjoyable. 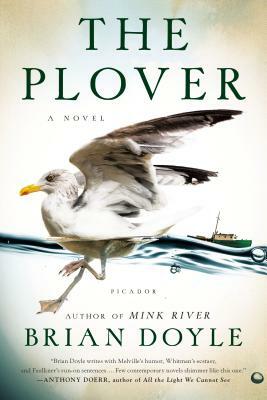 The Ploveris a delightful novel--it is a one-of-a-kind south seas adventure--but also an exploration of the interconnectedness of everything and everyone. It pays homage both to the ocean and to the human spirit, in their vast, mysterious, ever-changing beauty.